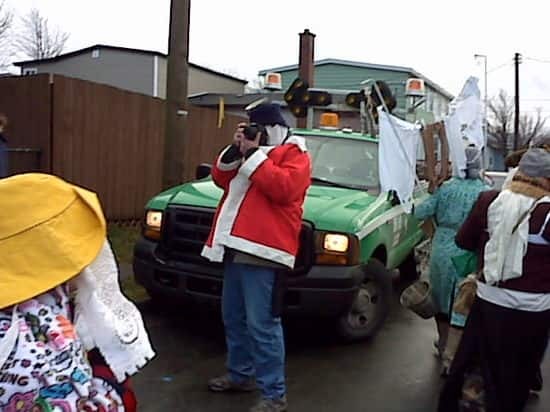 seen and its many photographers - there are about four - are taking some time off, so we want to wish you and yours Happy Holidays and we'll see you in the New Year. 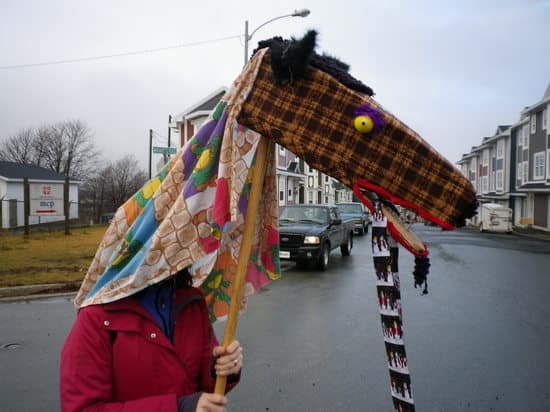 Lots of creativity around St. John's. 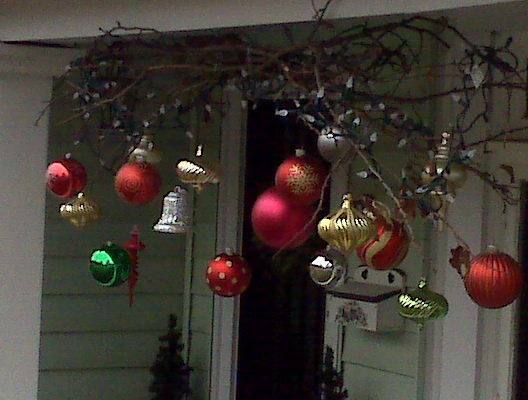 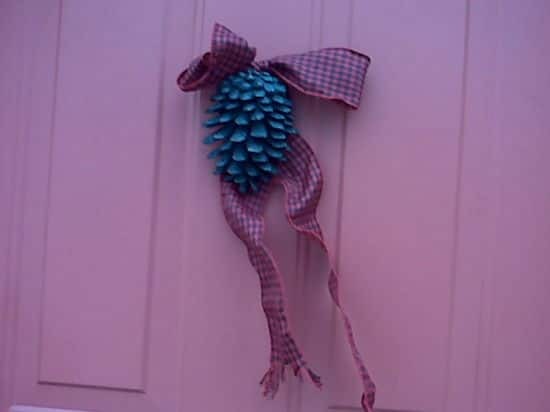 Now we've shown this house before, but the next time we walked by the decorations had completely changed. 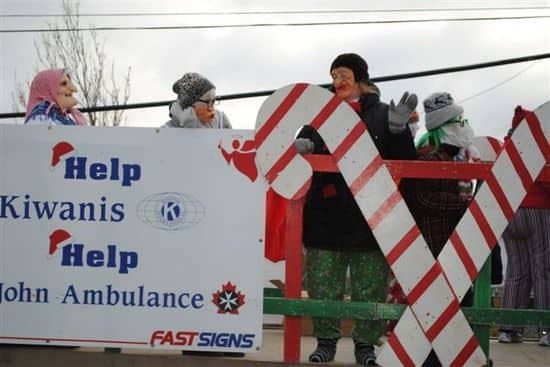 No kidding. 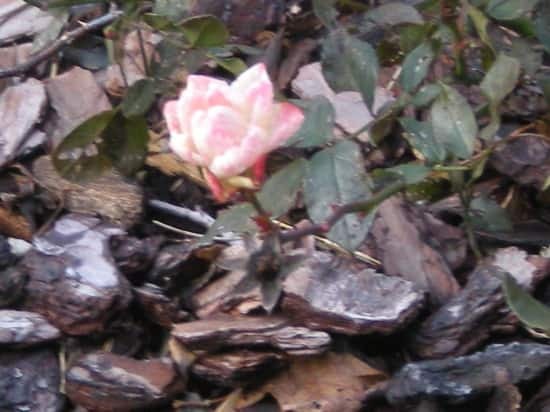 seen walked out this morning to discover large chunks of paint on the ground that the wind had stripped off the house. 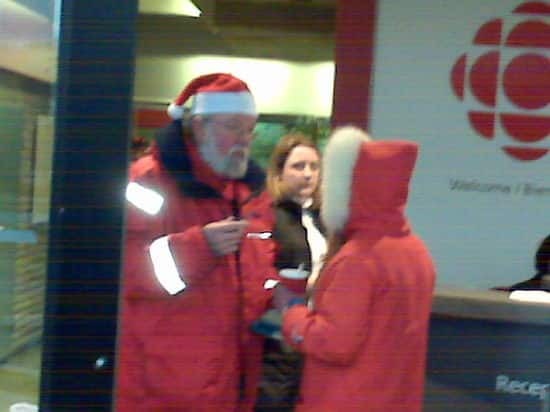 Maggie Gillis who was out hosting the Morning Show's Gift of Song, had the wind rip her scripts out of her hands, ending up with a soggy mass. 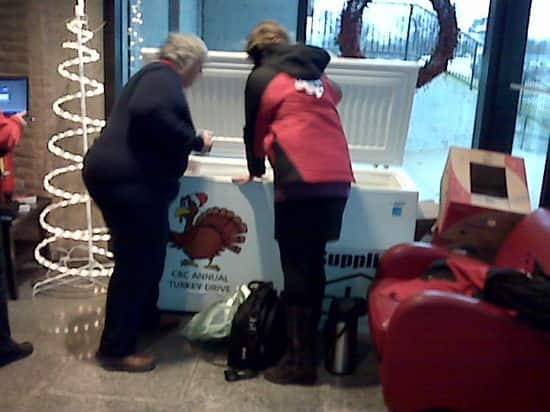 Many CBC colleagues were out this morning, collecting turkeys in front of the Parkway station for the Community Food Sharing Association. 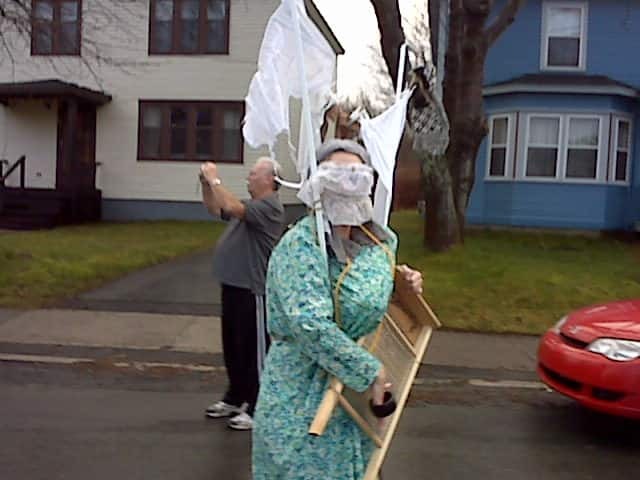 Here are some shots from later in the morning. 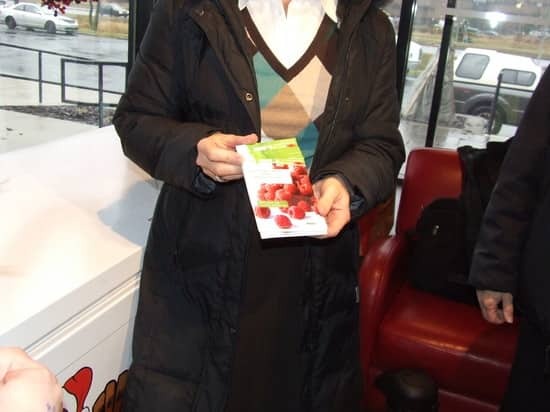 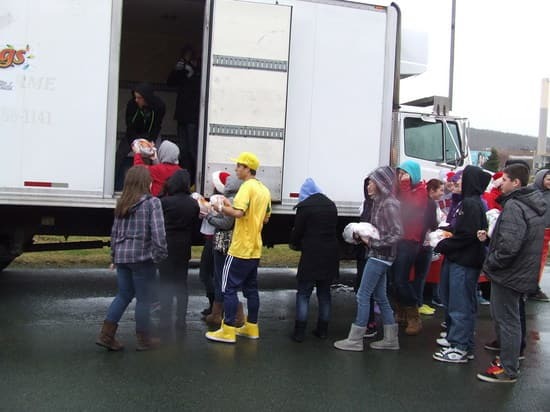 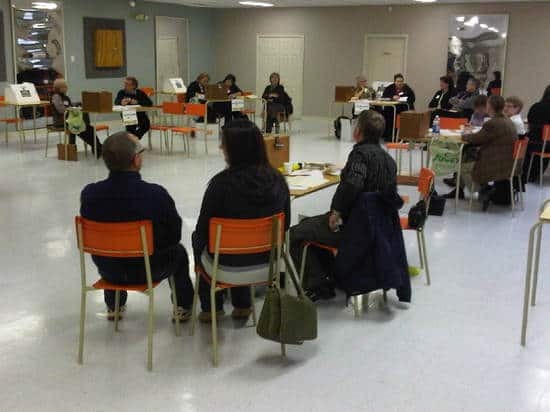 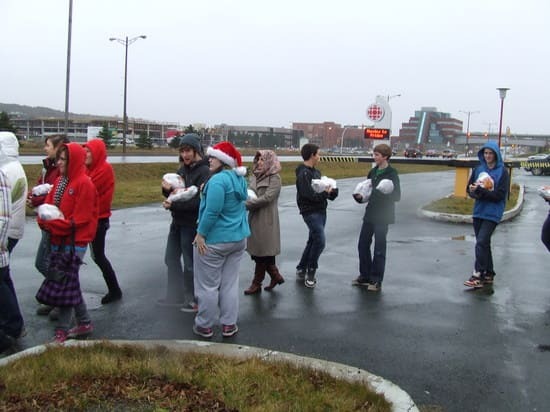 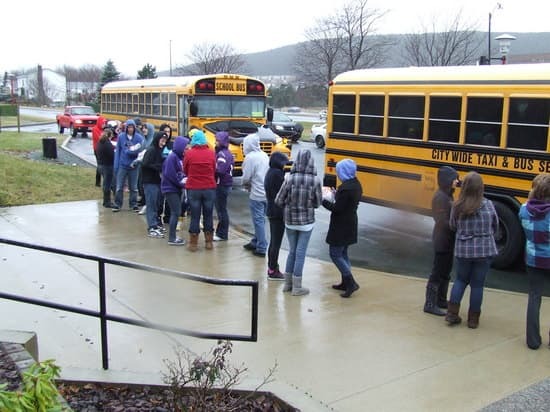 Continue reading CBC Turkey Drive. 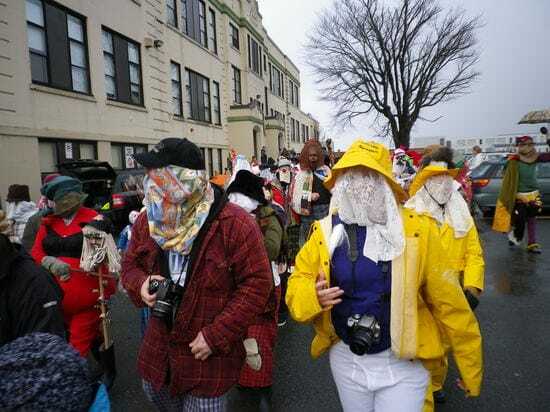 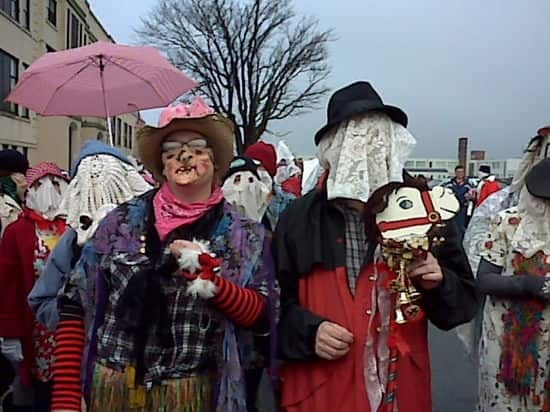 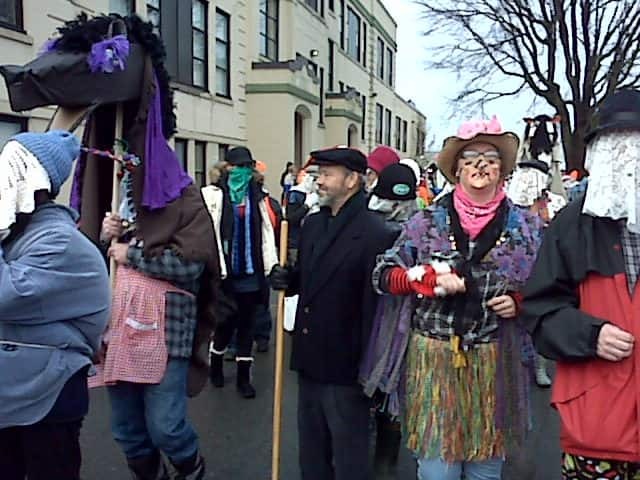 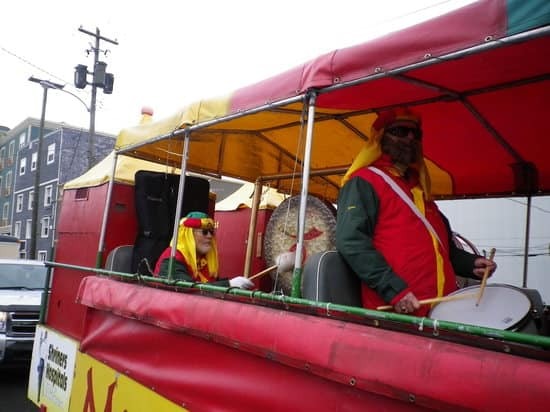 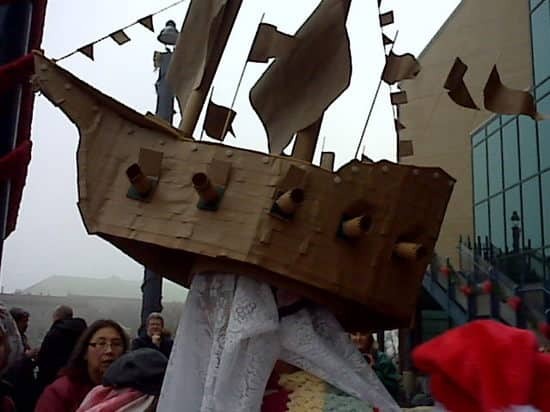 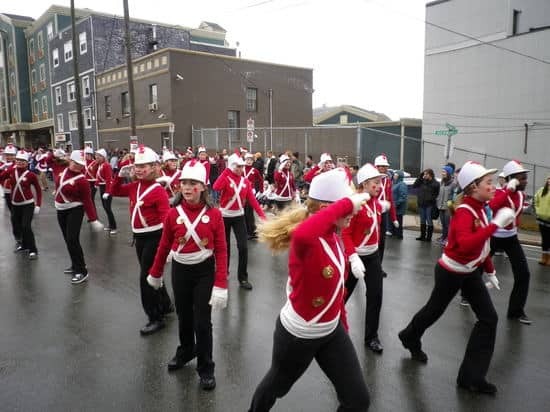 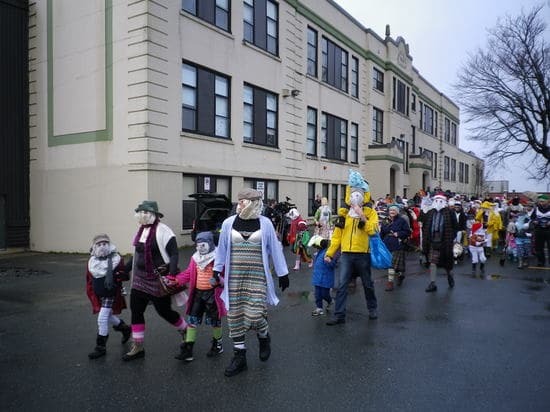 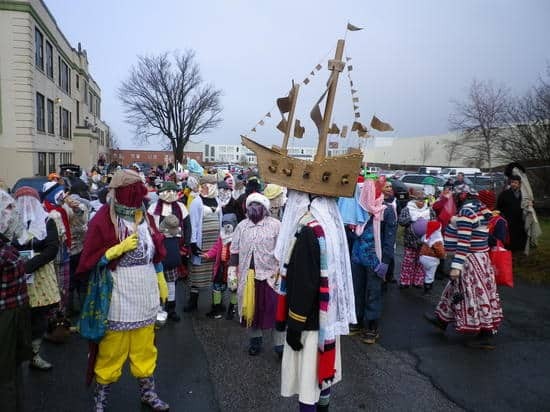 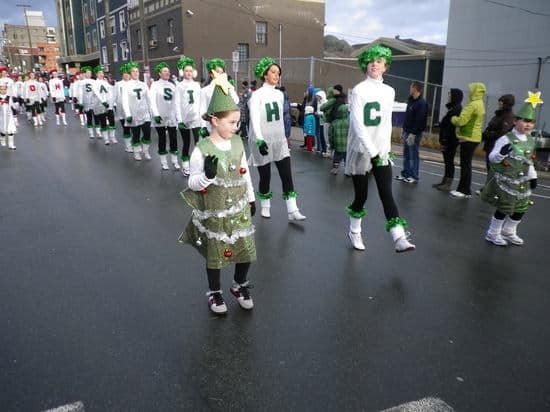 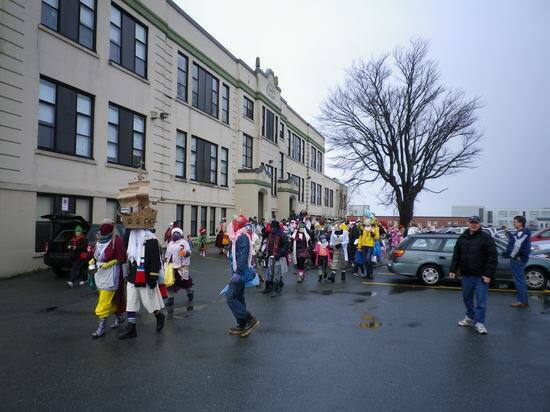 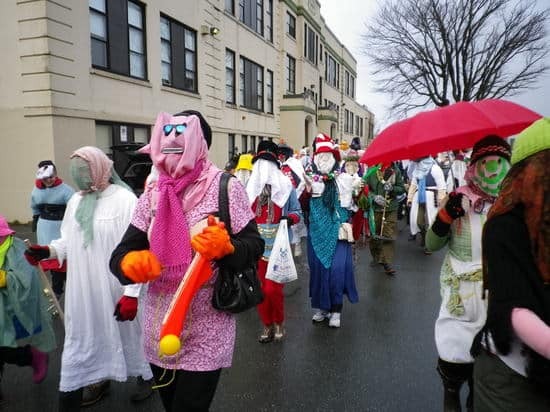 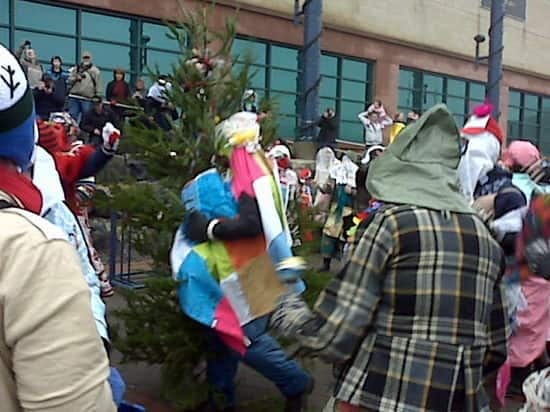 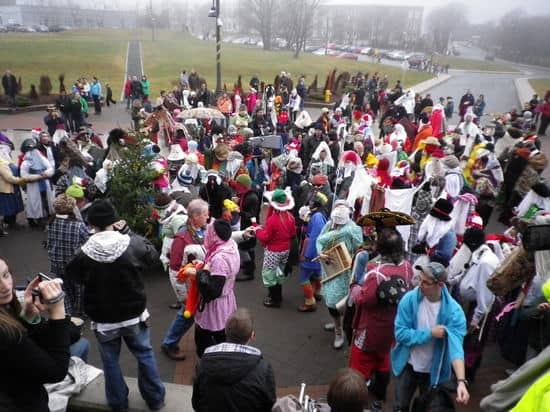 The damp weather cleared up on Saturday long enough enough for the second annual Mummers Parade, part of the Mummers festival. 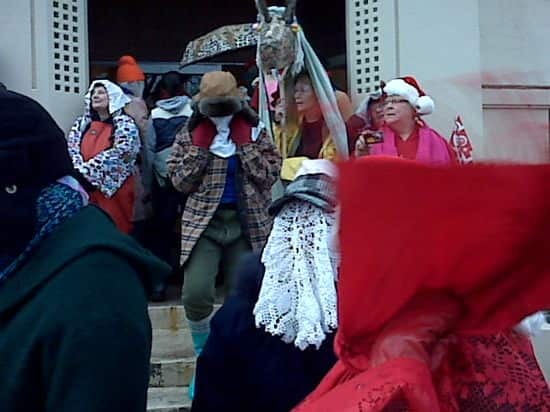 Old and young (and seen) dressed up in long johns and masks and bras and marched along the streets of Rabbit Town, heading for the Rooms. 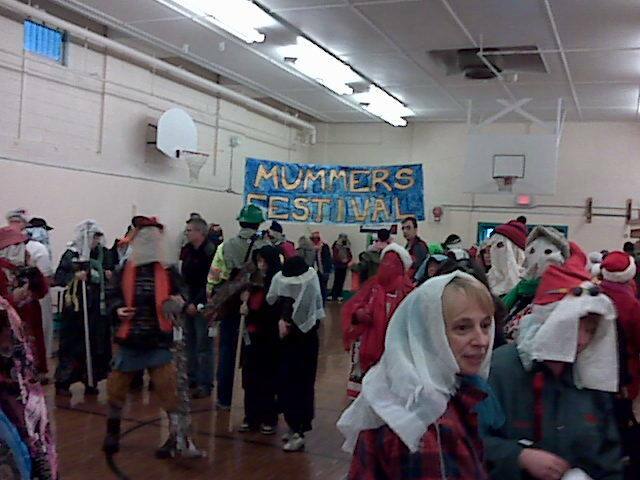 The Room allowed the Mummers in for cake and syrup and general foolishness. Last night indie paper The Scope threw what's become one of the most anticipated parties of the holiday season. 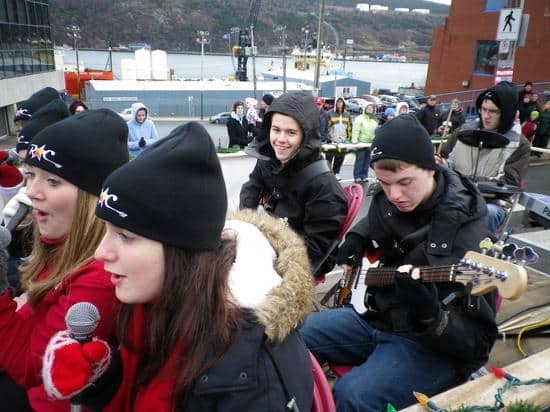 The Scope decided to make it doubly special by, not only celebrating the winners of the Best of St. John's readers' survey, but also the Atlantis Music Prize, which is "a juried award for Newfoundland and Labrador album of the year, judged on artistic merit, without regard to sales or genre." 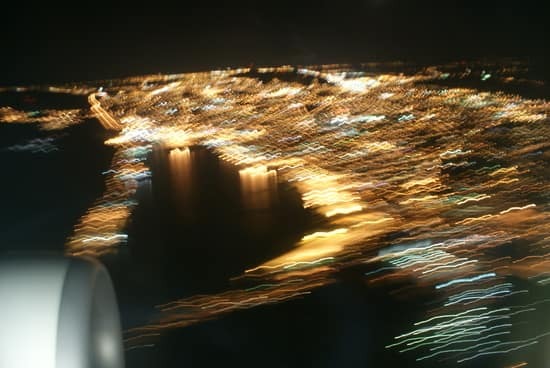 seen knows that because we swiped it directly from The Scope's Atlantis Prize website. 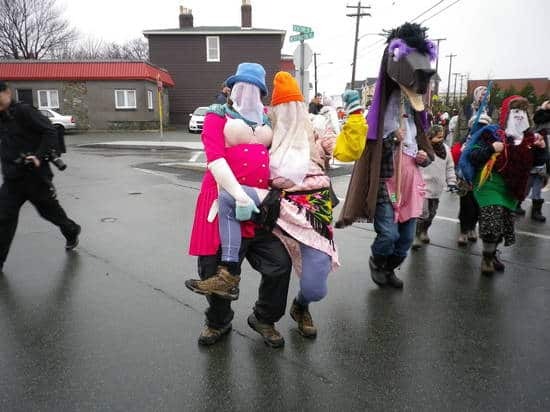 First of all, we here at cbc.ca/nl want to thank The Scope's readers and The Scope because we received the award for the best local news website. 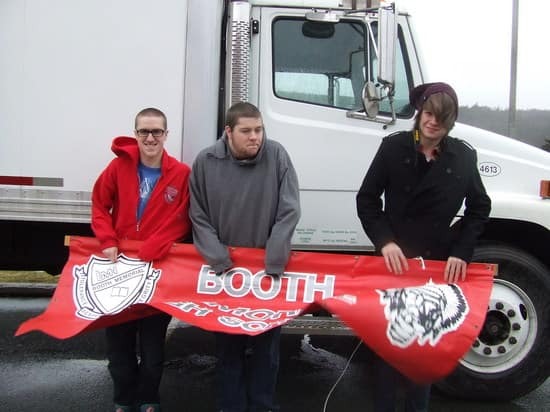 Thanks, guys. 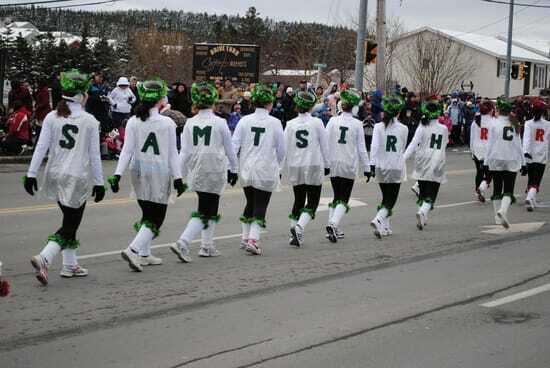 It means a lot. 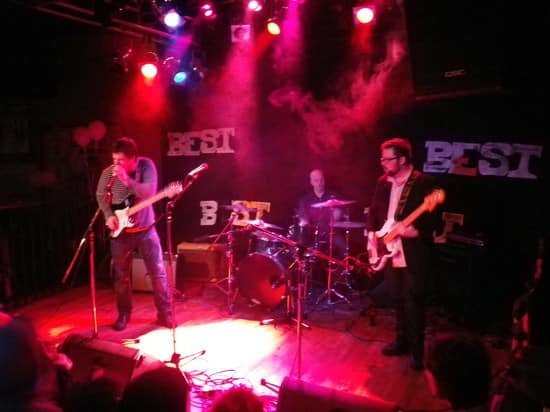 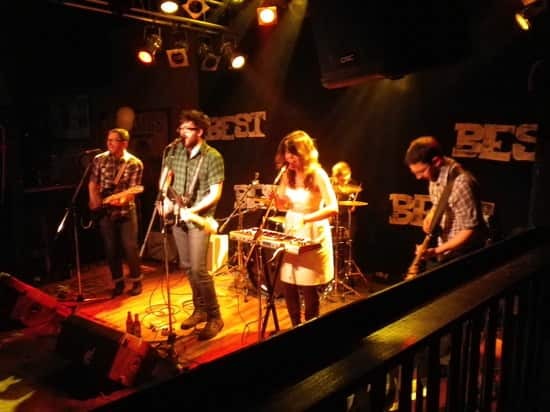 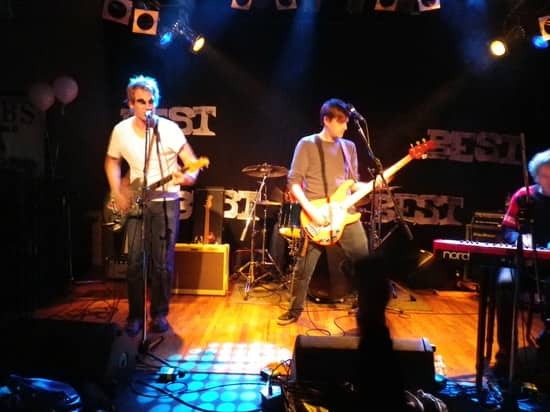 Afterwards, some of St. John's best known bands stepped up to perform, including Sherman Downey, The Gramercy Riffs, the Pathological Lovers, Colonel Craze & the Hunch and The Subtitles. 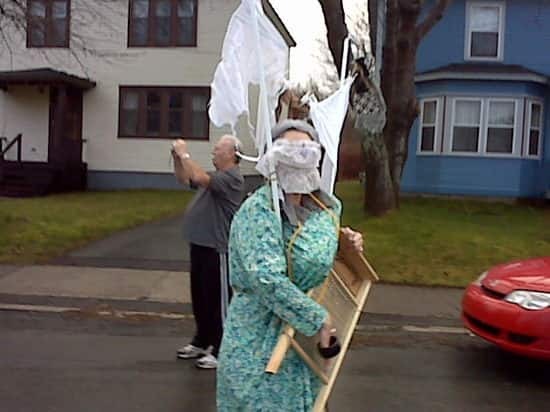 And who did the prize go to? 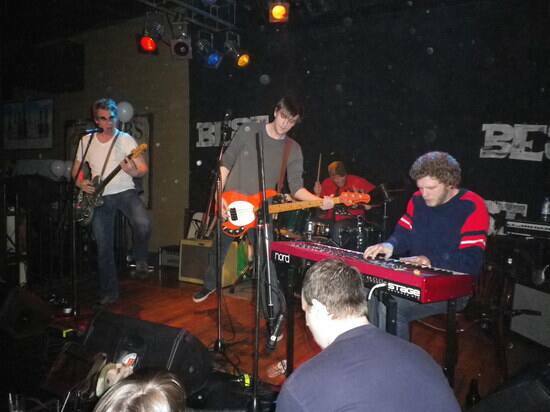 It was tie between the Gramercy Riffs and the Pathological Lovers. 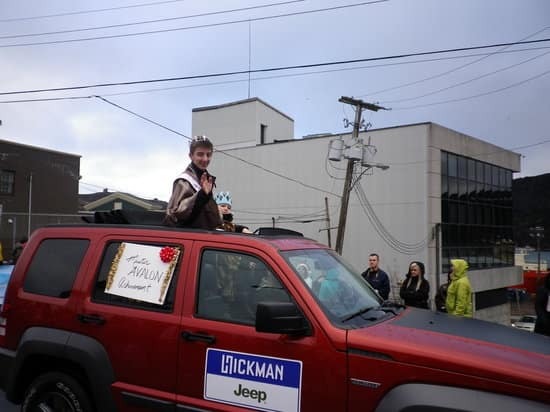 Congrats. 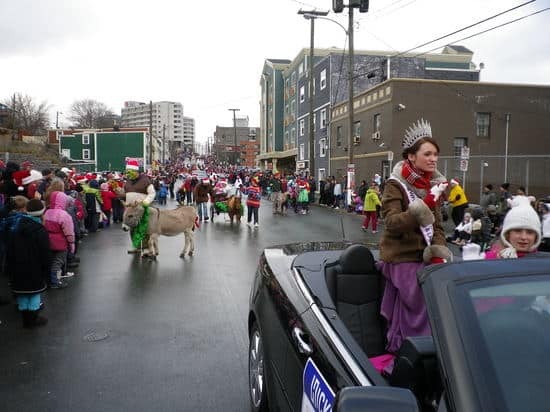 Continue reading The Scope's Best of St. John's. 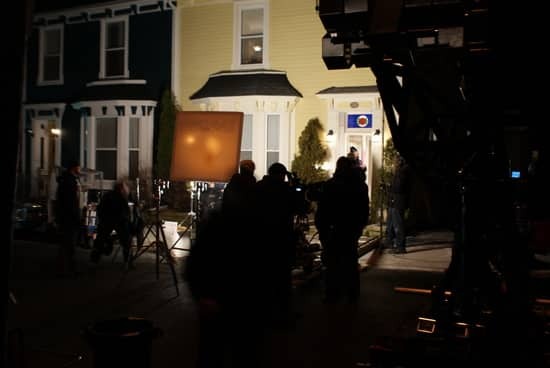 Here are images from the last night shoot this week of Season 2 of the Republic of Doyle. 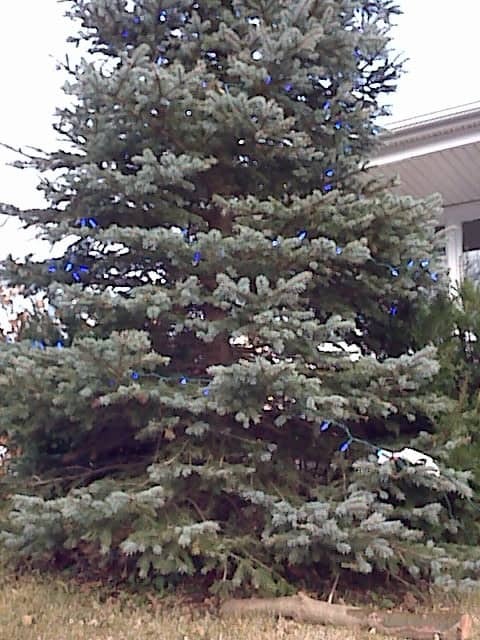 seen hasn't been out at night yet to shoot all the wonderful light displays around hte city, but we have seen some lovely decorations during the day. 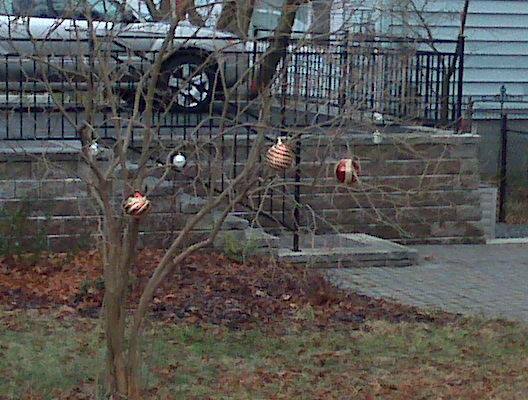 seen was walking in Georgetown yesterday and came across this in front of a house. seen didn't touch anything, just took the picture. So what happened here? 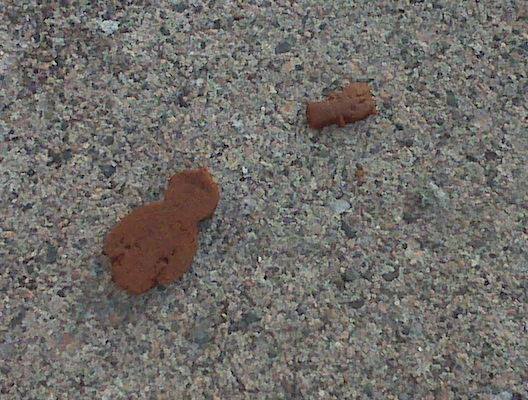 Something in gingerbread land gone wrong? 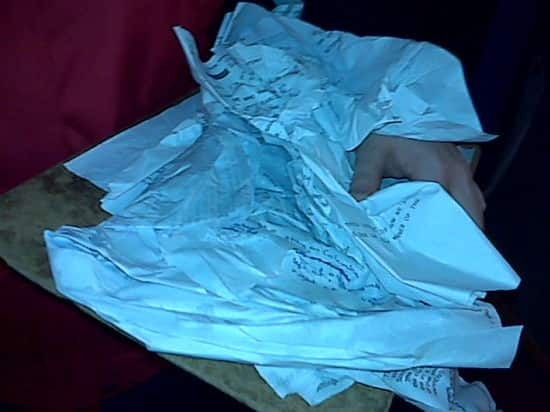 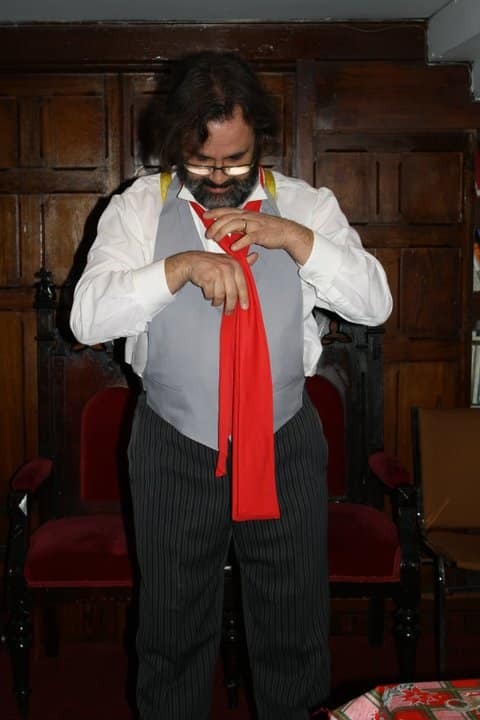 seen believes some jobs beg enquiry, if you don't need the work! 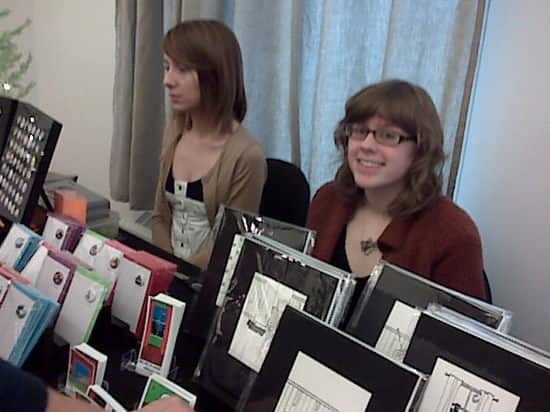 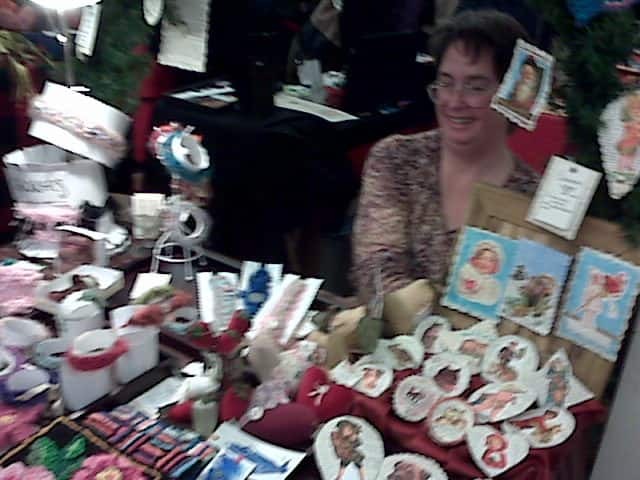 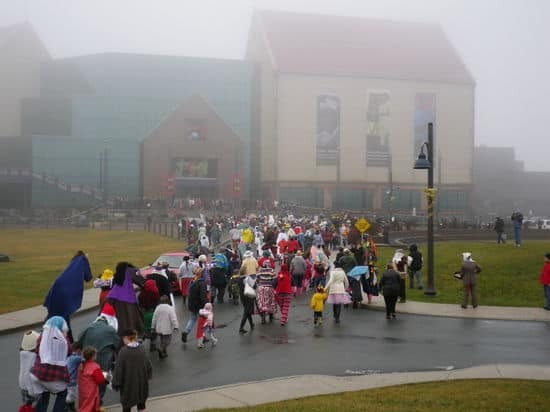 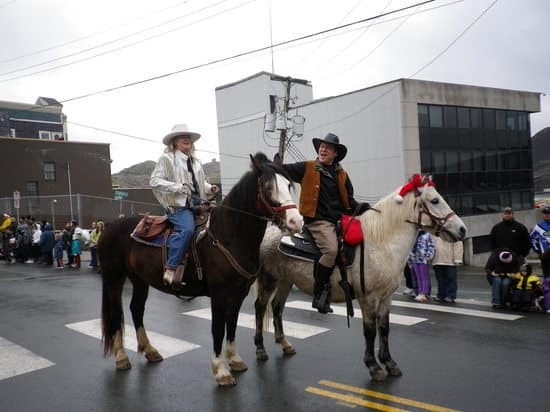 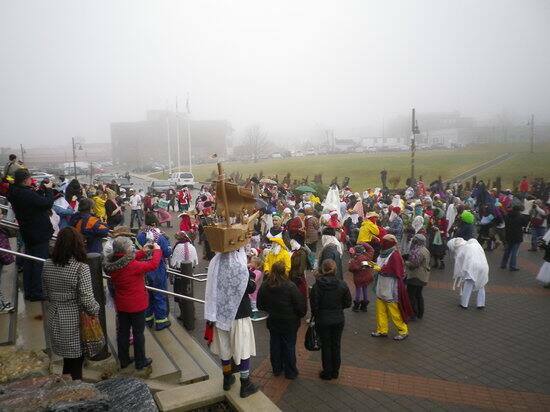 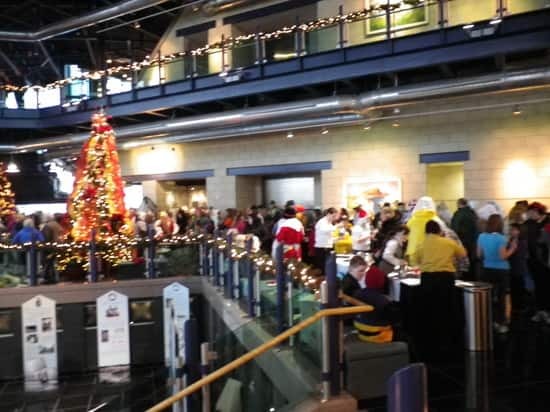 An annual event that happens at the Anna Templeton Centre in St. John's. 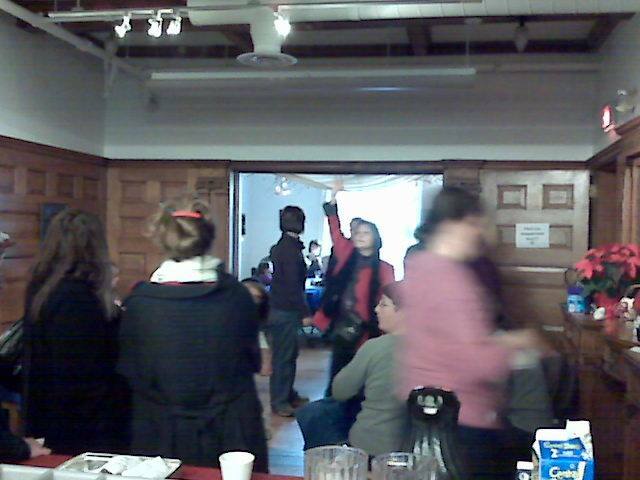 Lots of tea and goodies consumed. 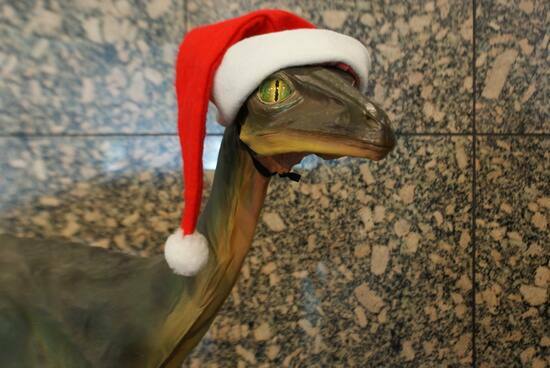 seen finished off the gift list too. 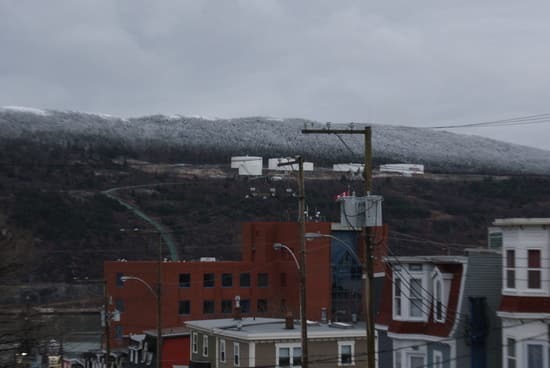 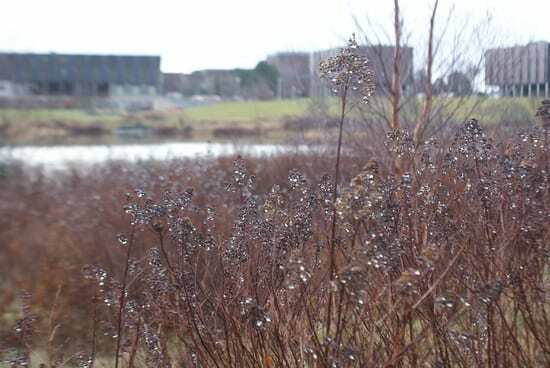 It snowed last night in St. John's, briefly ending the green season we've been experiencing this year. 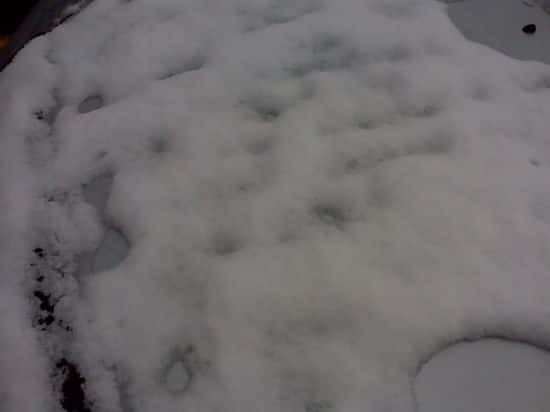 But it's all gone now and temperatures are expected to rise again. 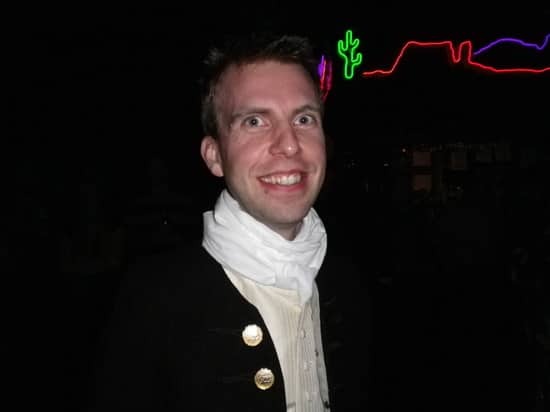 Right, Lee Pitts? 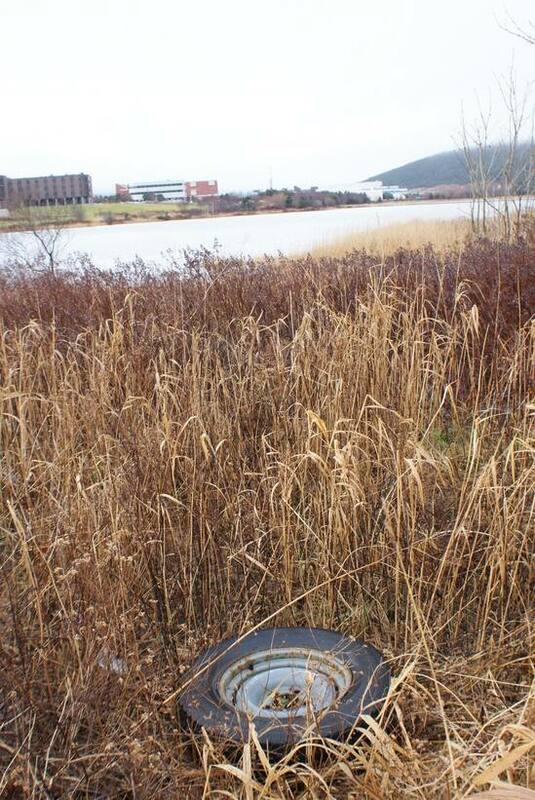 The dump isn't located near Long Pond, is it? 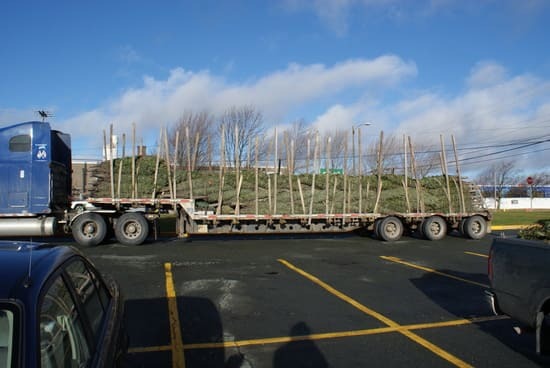 The whole province seems to have been experiencing less than seasonal temperatures, but even this seems a bit out of the norm. 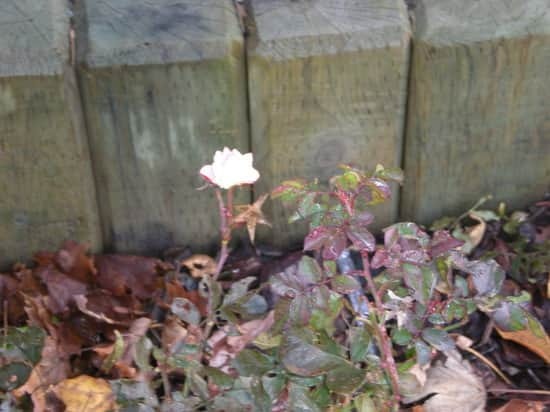 This is a rose - it's real - that's blooming outside the CBC building. 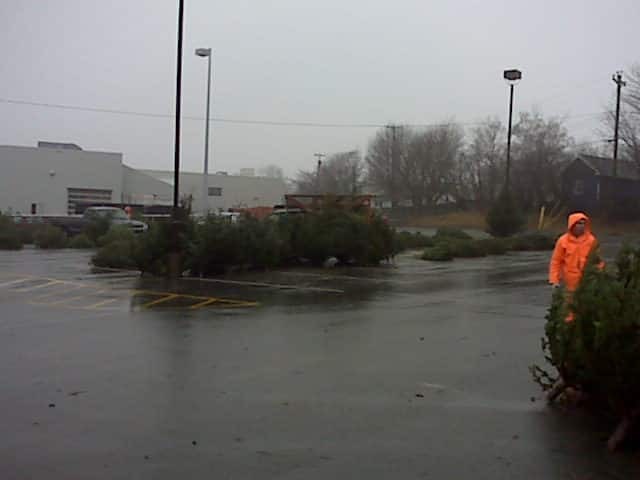 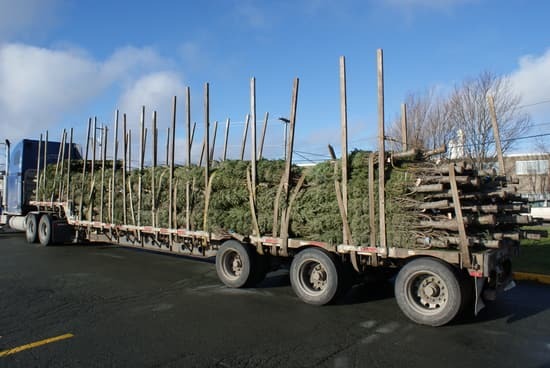 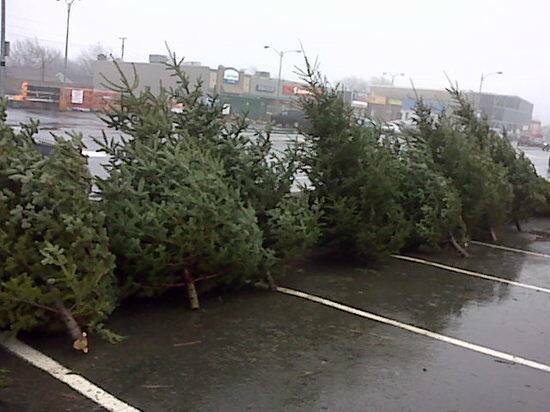 Now we know many people already have their trees up and decorated, but these being taken off the truck on Ropewalk Lane are the first ones we've seen. The aftermath of a main break on Bannerman Street in St. John's yesterday. 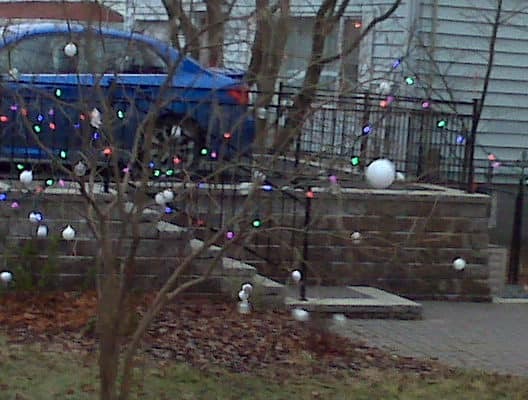 Not a lot of winter in St. John's yet. 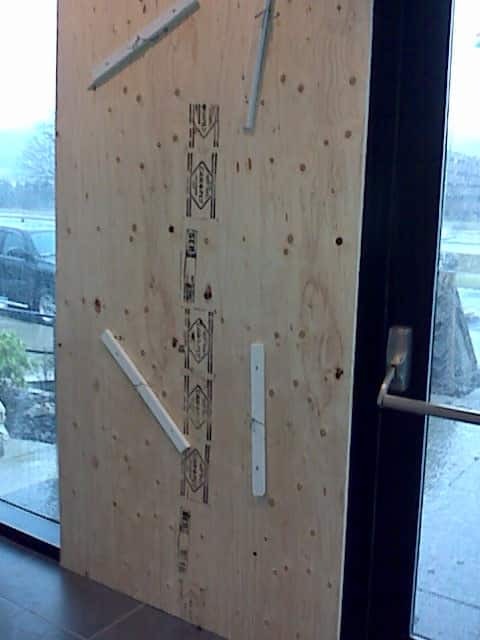 But it's only a matter of time. 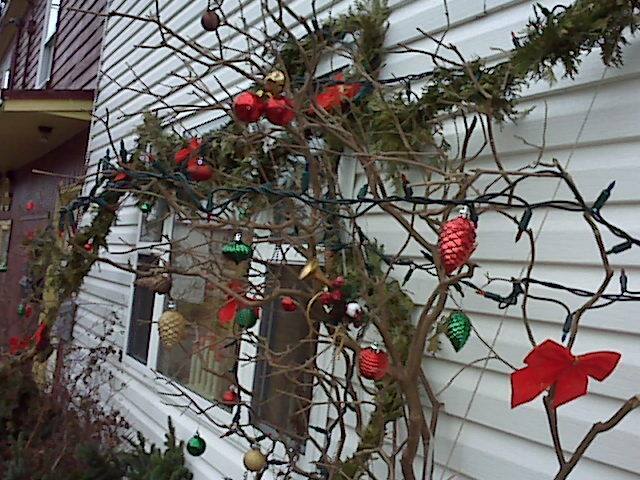 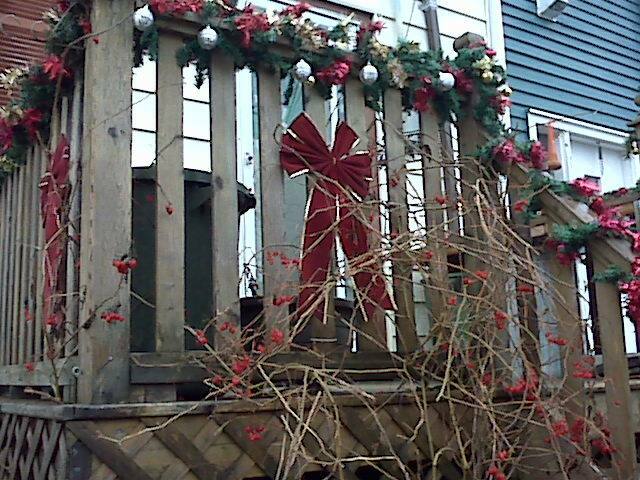 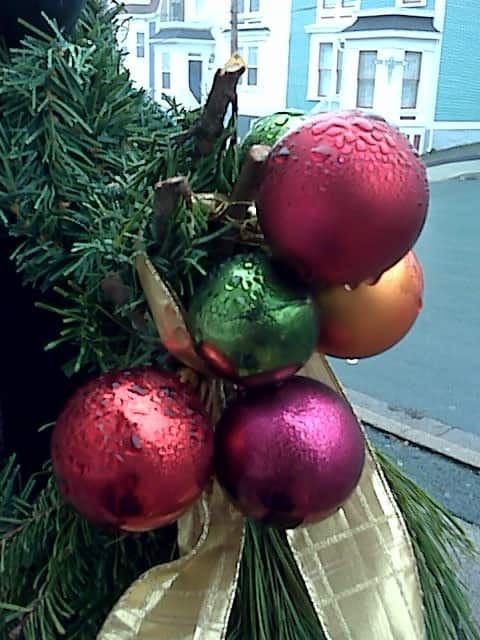 Lots of creativity this year on the streets of St. John's when it comes to decorating local houses. 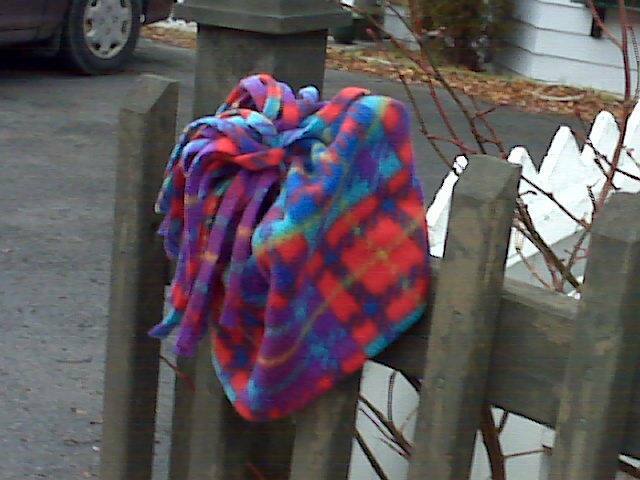 seen was walking down Bonaventure Avenue St. John's last week and noticed a hat on post - a St. John's way of saying: is this yours? 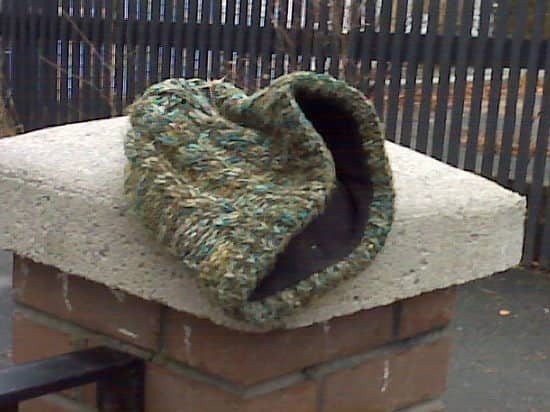 Today the same hat was still on the same post and a few houses up a new one was on another post. 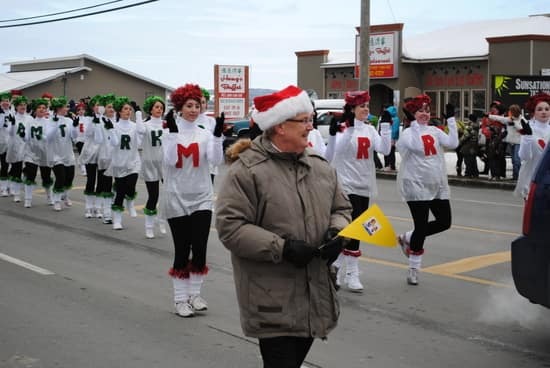 Seeing as how Brother Rice is located just a across the street, a few parents might be wondering where the youngsters' hats night be. 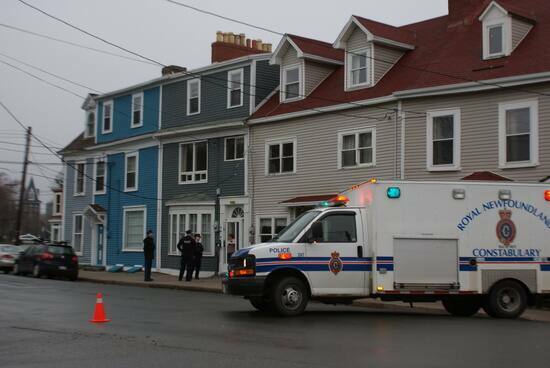 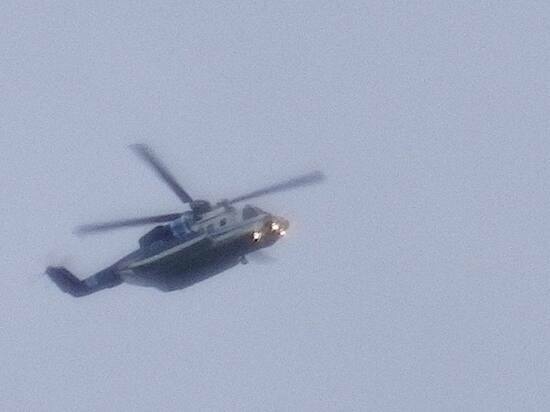 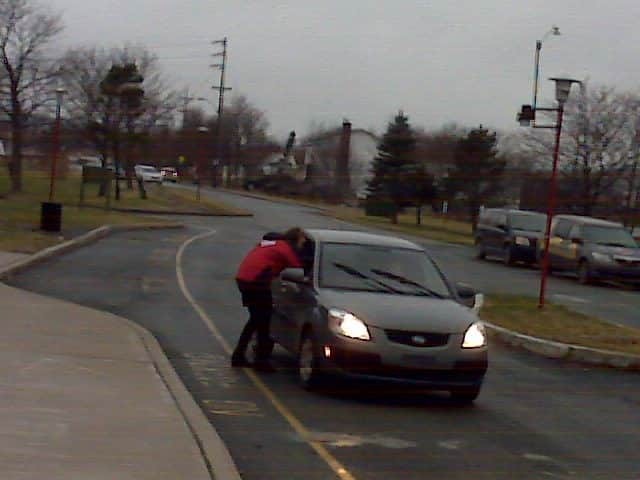 In St. John's, the police were out early Saturday morning. 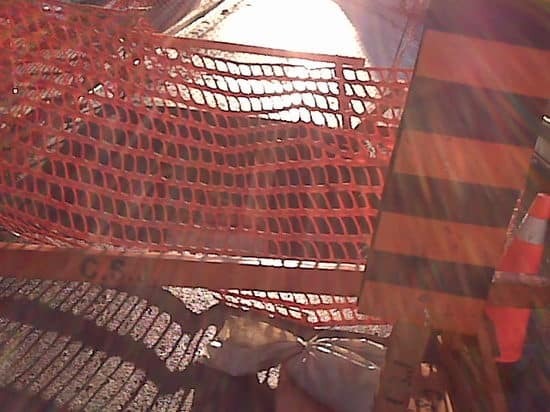 Someone noticed that an electrical wire had fallen across the road. 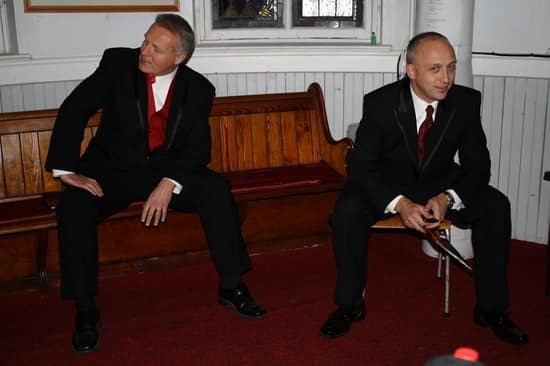 Some pictures from this year's reading of the Christmas Carol from Gower Street United Church in St. John's. 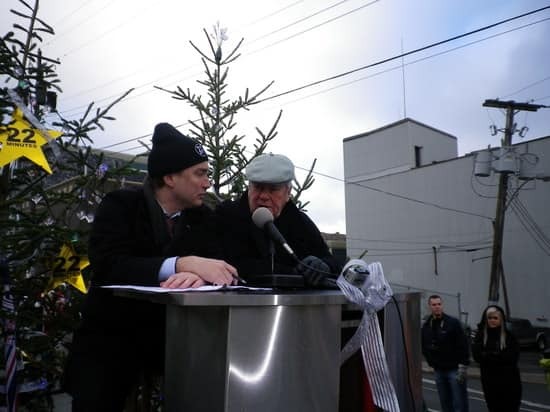 If you'd like to see pictures from the Christmas Carol reading in Happy Valley-Goose Bay, you can see them here. 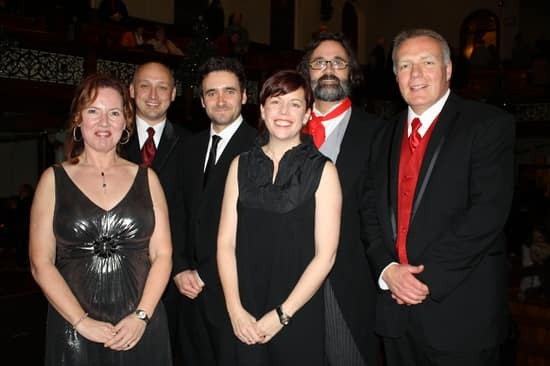 The readers: Chris O'Neill-Yates, David Cochrane, Alan Hawco, Angela Antle, Ted Blades, Jonathan Crowe. 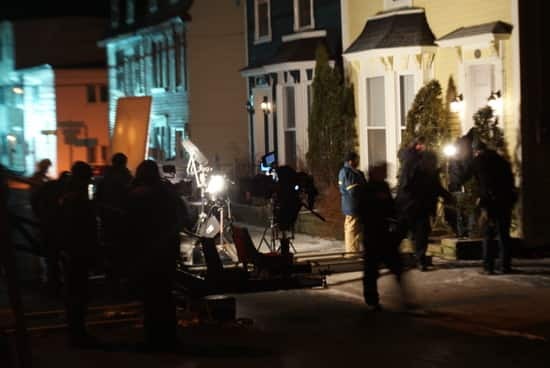 If you watched Here & Now last night, you would have seen Chris O'Neill-Yates's story on the problem getting hard tack because of the Purity Factories strike. 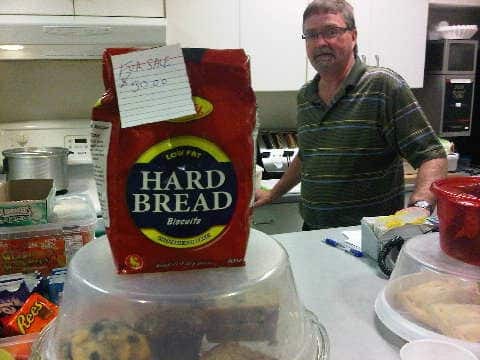 This appeared in the CBC's canteen. 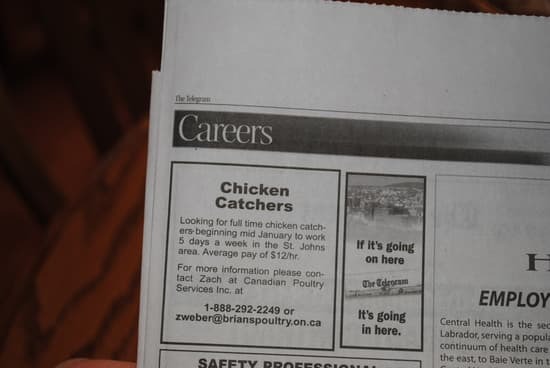 Any takers? 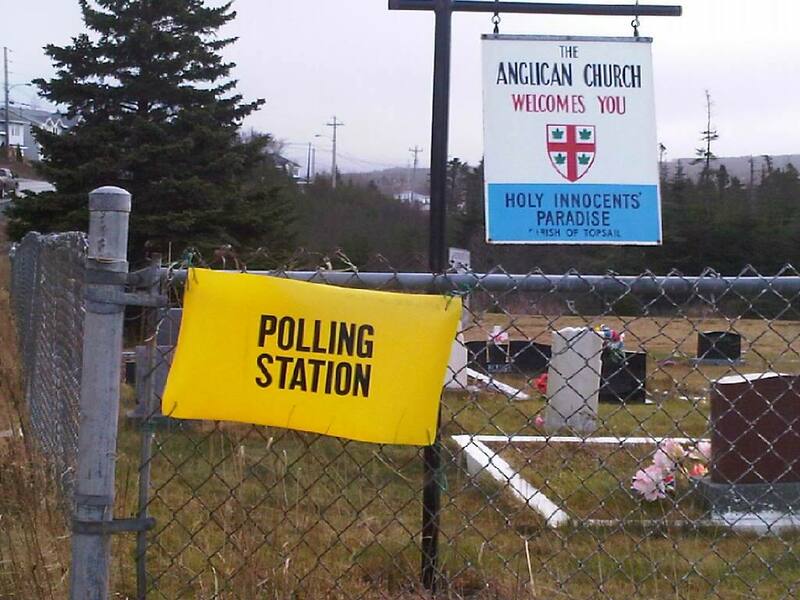 seen knows the polling station is not in the cemetery. 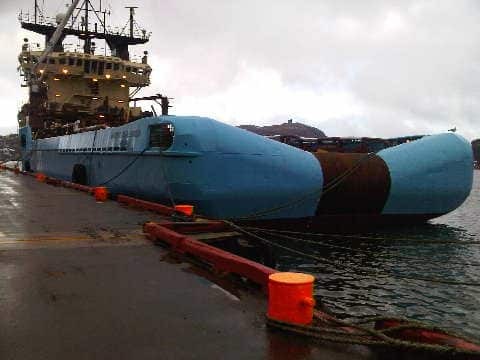 The Maersk Challenger SEEN in St. John's Harbour. 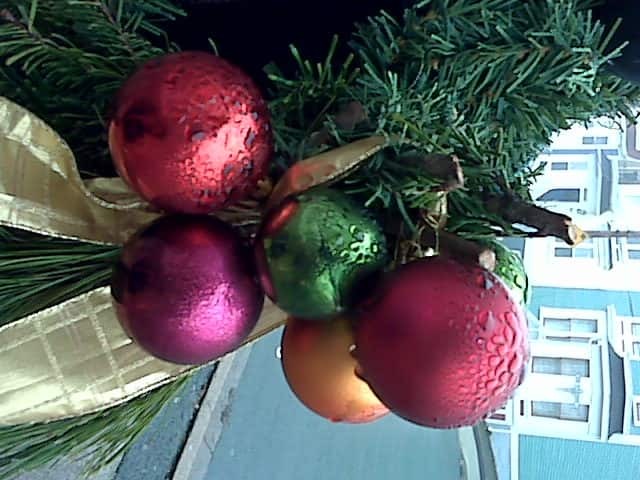 seen is catching up today. 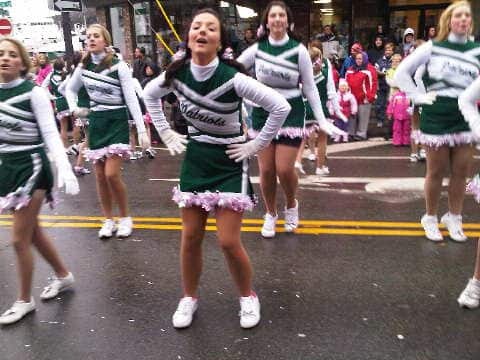 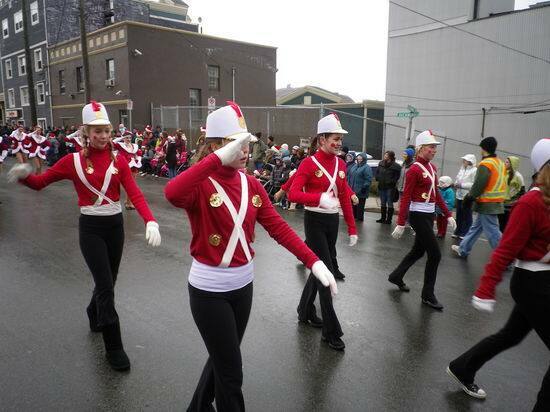 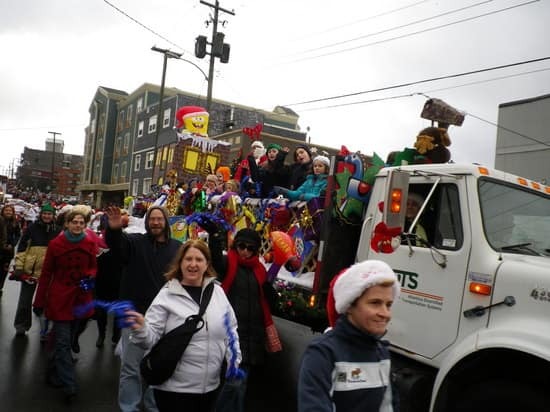 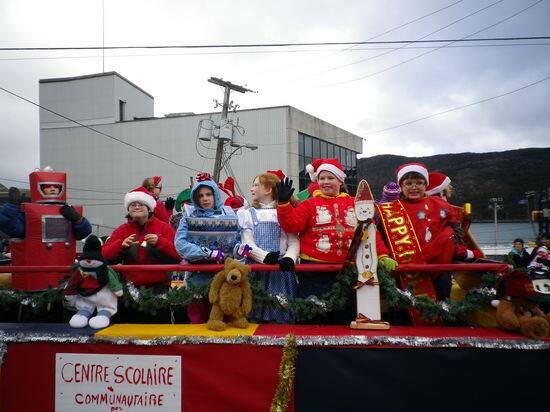 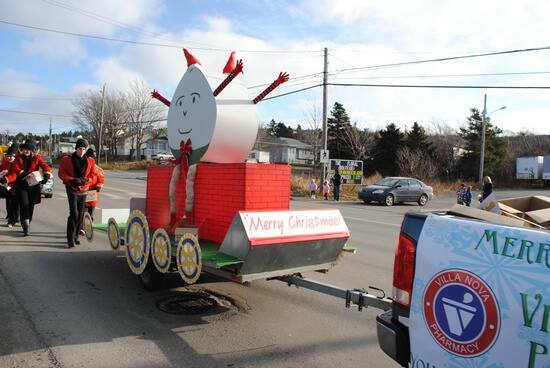 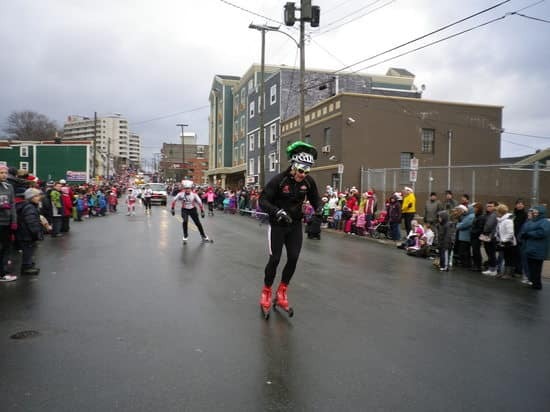 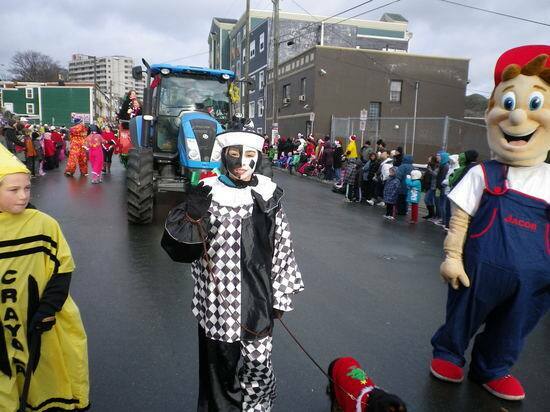 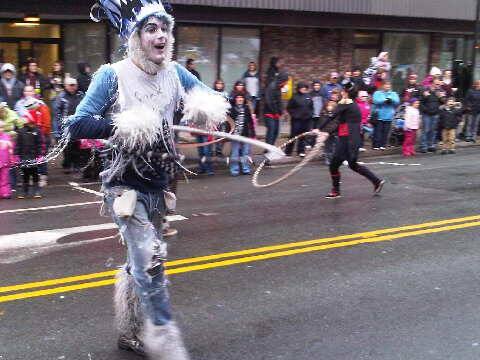 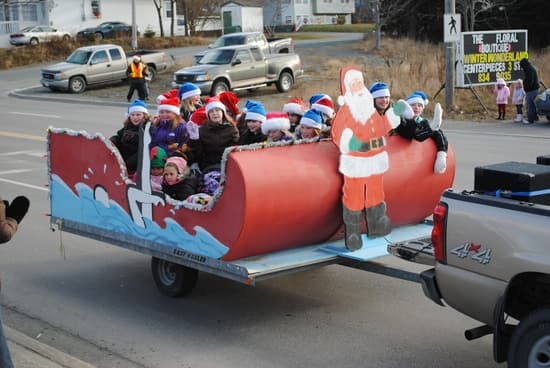 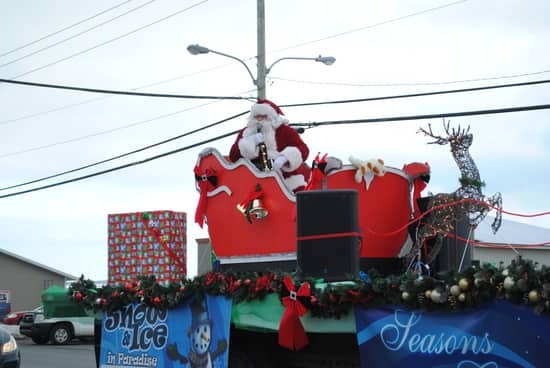 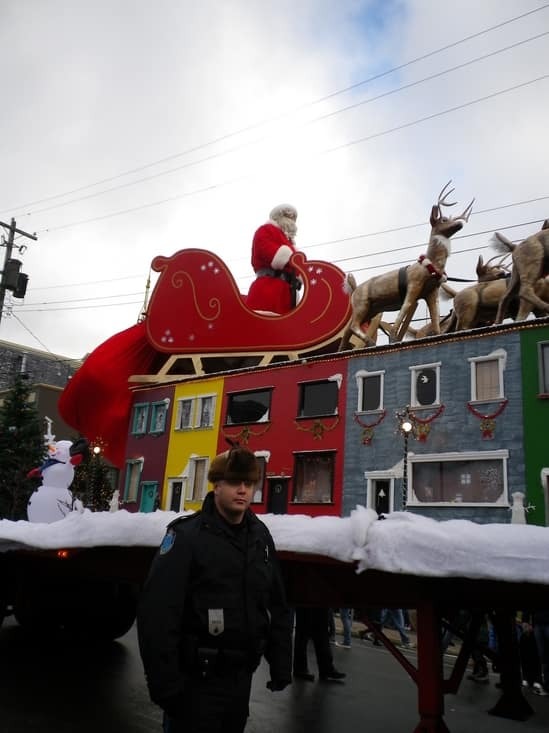 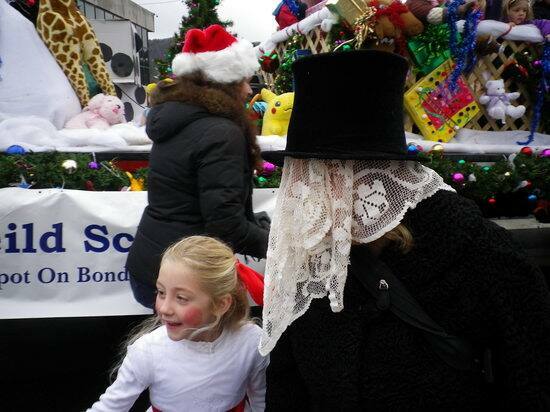 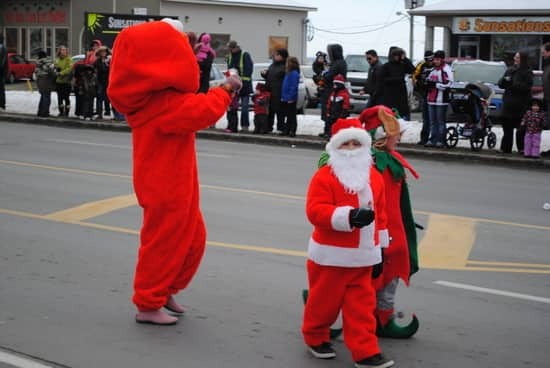 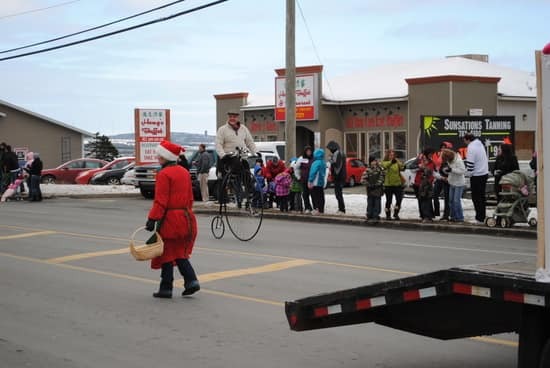 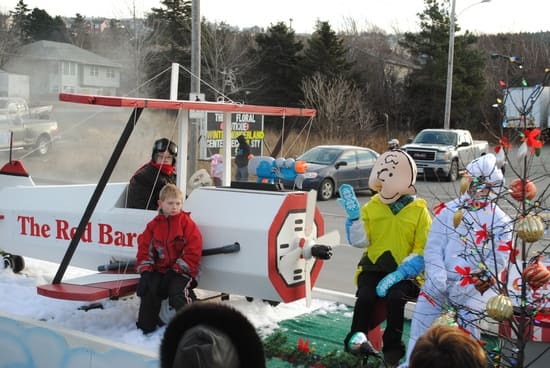 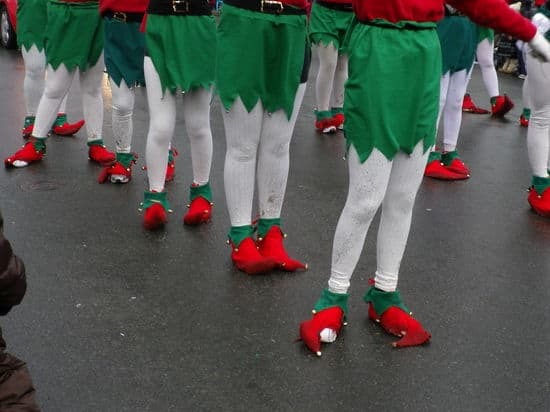 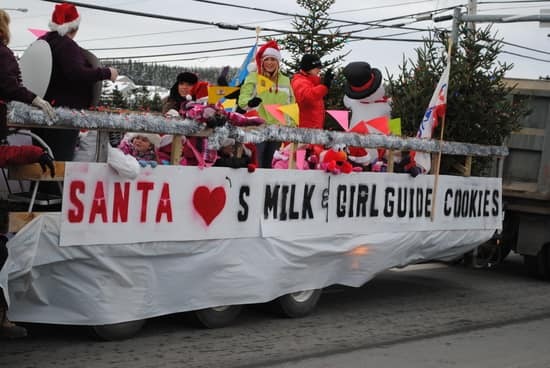 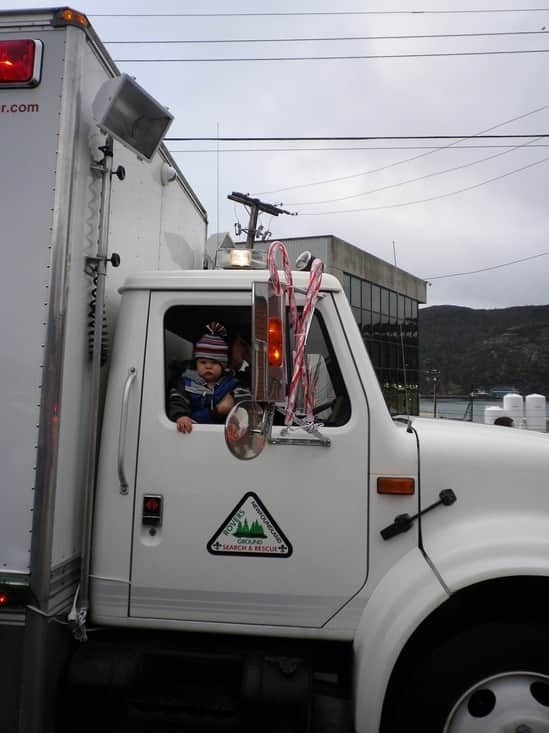 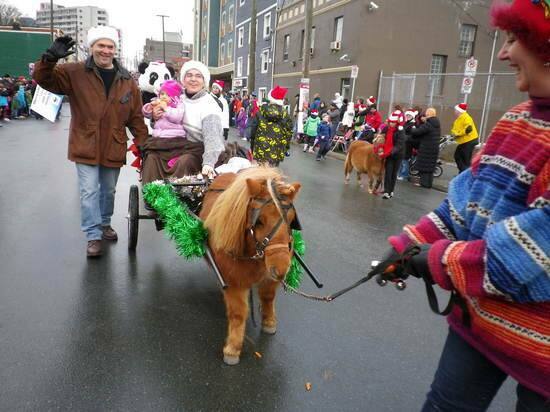 We have more photos form this weekend's Santa Claus parade.